Welcome to the blog tour and giveaway for Betel Arnold's debut book, Buried Beneath the Words. About the author: Betel Arnold is a Certified Christian Life Coach, her passion is to reach out to women with compassion, empathy and encouragement. She is the creator, co-producer, and co-host of Simply Talking, a local public television show addressing issues drawn from our daily lives to deeper questions that come from our personal tragedies. Betel has learned to integrate her roles as wife, mother, inspirational speaker and family advocate. It is Betel's personal life experiences of overcoming adversity where she was able to find the inspiration and inner strength to do the impossible. She inspires others to overcome the challenges that keep us from moving forward in our lives and achieving our goals. Betel Arnold has embraced her life's conviction to help women become all that God has called them to be. Betel Arnold's inspiring book, "Buried Beneath the Words," is a book that will really lead the reader to search her own life and really think about how words have impacted her life. Words are so powerful and can impact everyone, no matter how old he or she is. Hurtful words can tear down a person's self-esteem so quickly and so much. Betel shares how the Bible and having faith can help increase one's self-esteem and help recover from the negative impact of these words. I love the style of this book as it is a workbook type book which ample space to reflect and work through how situations, our perceptions, other peoples' opinions and words impact us. This is a very valuable resource and one that will be life-changing as it can help you personally, but also impact how you interact with children and others in your life. 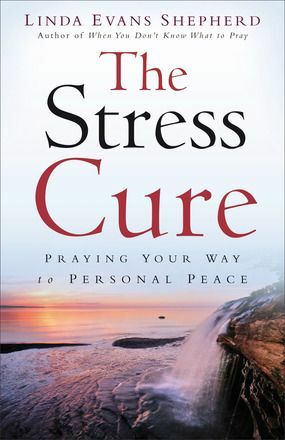 "The Stress Cure: praying your way to personal peace," written by Linda Evans Shepherd, is a great book that will draw the reader into the pages and on the path to finding peace. Life is filled with stress and it seems that advice and tips are all around, but life is still overwhelming at moments, many moments. Linda addressed a different aspect of stress in each chapter and offers suggestions on how prayer can help us to let go and relieve us of that type of stress. There are personal antidotes shared, Biblical passages, verses and ample space for personal reflection in each chapter. I enjoyed this book as it was straight-forward, but written in a style that is calm and soothing and not judging. This is a book that should be read through and savored as it is filled with useful information that can truly help reduce stress and utilize prayer to find an inner peace. I loved Robin Caroll's Quilts of Love novel, "Hidden in the Stars," as the storyline was so engrossing and the characters were so loveable and real. Right from the start I was thinking what could have been the cause for this attack on Sophia and her mother and I was kept guessing until the very end! There are so many pieces to this story and so many relationships as Sophia discovers that her mother had hidden things from her and lied to her throughout the year, which is first discovered when Sophia's grandmother shows up at the hospital. Charlie is an amazing character as well and I loved her story being woven into this as she has a history with Julian and becomes an instant friend to Sophia offering not only help through lip reading, but spiritual and emotional help as well. Julian is struggling with things from his past as well and is struggling with his feelings toward God and Sophia. This is such a wonderful story of healing on so many levels and one that will hold your attention from the very first page to the last. About the book: A young Amish couple gets a second chance at love in New York Times bestselling author Shelley Shepard Gray's final book in her Return to Sugarcreek series. Shelley Shepard Gray returns to Sugarcreek with such a sweet love story for book number 3, "Joyful." Elizabeth has been hired to be a housekeeper as much as she does not want to take this job because of the history between herself and Randall. However awkward it is going to be, she needs the work. As Elizabeth takes this job, Randall and Elizabeth both realize feelings within themselves for each other and allow a second chance., I really enjoyed this story; it may be my favorite in the series. Elizabeth is such a sweet girl and an excellent main character. I found myself empathizing with her from the very start. However, I really liked Randall as well as a main character and love the interactions between these two and watching their relationship shift and grow. Shelley writes in such a way that the reader is completely drawn into the story and into the characters' lives and I found myself not wanting to leave this story and the characters at the end. This is an excellent choice for Amish fiction fans! Max Lucado is an author whom has written so many books that I have enjoyed over the years and his latest, "Before Amen" does not disappoint in the least! Prayer, it seems so easy and straightforward, yet it is something that is so easily overlooked, forgotten about until one is in desperate need and the beauty and significance is so underappreciated. Max shares the power of prayer and a basic guideline or model for each of use to use to help us really understand, use and appreciate to power of prayer and the One whom we are praying to. I really enjoyed this book and it will be one that I will reread several times I am sure. Not only is it so straightforward and easy to read, but the message is short, sweet and easy to read. I love the format of the book as it is divided into well-defined chapters and within the chapters that are bulleted lists, and quotes that are highlighted and grab your attention. This book has opened my eyes to prayer and has provided a fresh approach to it for me. Kelly Pulley's children's book, "Treasury of Bible Stories: Rhythmical Rhymes of Biblical Times" is an excellent collection of Bible stories for families to enjoy together. This is a hardcover edition filled with vibrant illustrations that is so appealing to children (and adults too!). I love how each story that is shared has plenty of illustrations to go with it and also the Biblical passage is shared as well, so that children are able to see what the story is based on and that it is truth from the Bible. There is also a nice variety of stories included in here and a few that are included are not as well-known as others which is nice to see as well. This book would make an excellent gift for a child and it is one that I know will be read and looked through over and over again in my house! 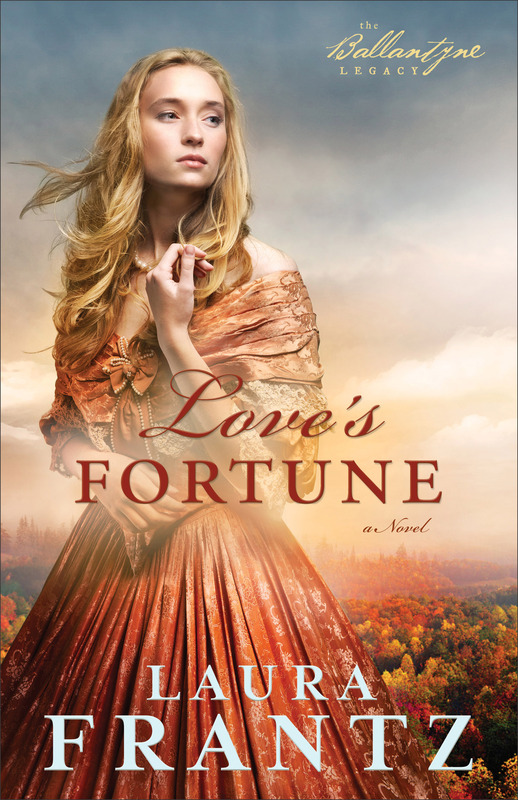 "Love's Fortune" is book #3 in Laura Frantz's Ballantyne Legacy series and it is a great addition to the series. Wren has loved her life in Kentucky; however her life is turned upside down when she travels to Pennsylvania with her father and meets some other family members. Wren does not feel as if she fits in and does not fit the society mold that is expected of her. As Wren struggles to find her place in the family and in this new home she seeks help from James, but this may not be enough. This is a story that is so richly written as it is filled with realistic characters and historical details. I found myself captivated by the story and I loved reading this continuation of the family and their legacy. I highly recommend this book and series to historical fiction fans. 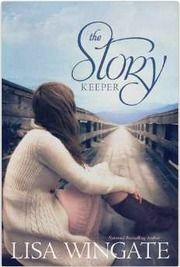 Lisa Wingate's latest novel, "The Story Keeper," is a masterpiece that should not be missed out on! Jen is a successful editor and she is thrilled to be beginning this new job; however she is unsure of what to do when an unfinished manuscript from the slush pile lands on her desk. Jen cannot stay away from the manuscript and as she begins to read she is transported back to her childhood home and life. As Jen tries to uncover the mystery and story that is being shared with her, she faces her own past as well. This book is so rich is detail throughout the entire book that the Blue Ridge Mountains came alive to me and the various struggles that the characters face. However many of this issues are not different from ones that so many people deal with in the county that I live in; this made the book even more real to me and a gentle reminder of the everyday needs and struggles that so many face. Lisa has a true talent for storytelling as this is a book that completely drew me into the story and in the characters' lives and it is a story that will forever stick with me. I was thrilled to have been a part of the "Sisterhood of the Traveling Book" and I was able to read this book in June. I was the second sister in my group and therefore I was able to read the comments that my "big sister" had written throughout the book which added another layer to the book. I am getting ready to reread my own copy of this book which I am sure I will be blessed once again. CHRISTMAS AT ROSE HILL FARM iPad Bunthe dle Giveaway & sign up to host a Book Club Brunch! Kindle HDX Giveaway and Live Webcast Event with @MaryConnealy! About the book: Saddle up for a wildly fun ride with the Wilde sisters! About the author: Mary Connealy writes fun and lively "romantic comedy with cowboys" for the inspirational market. She is the author of the successful Kincaid Brides, Lassoed in Texas, Montana Marriages, and Sophie's Daughters series, and she has been a finalist for a Rita and Christy Award and a two time winner of the Carol Award. She lives on a ranch in eastern Nebraska with her husband, Ivan, and has four grown daughters. Mary Connealy's brand-new series, Wild at Heart, begins with "Tried & True," a perfect book to begin this series about the Wilde sisters. Kylie, Shannon and Bailey have all staked a claim and are masquerading as men; part of their father's plan, whom has been running their lives. Land agent Aaron sees through the girl's masquerade; however he is not able to separate himself from them, especially Kyle when she is suddenly in danger. As Aaron tries to help Kylie, he faces issues from his past as well. I really loved this book! Mary does an excellent job with setting the scene and really bringing the time period to life. The story is fast-moving and I found myself laughing, holding my breath during the times of danger and rooting for the characters. I loved Kylie's story and cannot wait to read Shannon's and Bailey's and see how life turns out for these two. I loved the Wilde sisters, but also Tucker, Sunrise, and Gage and am looking forward to spending more time with them in the rest of the series. The preview for book 2 included at the end has me looking forward to that one coming out! “Love & Cupcakes” Kindle Giveaway and Facebook Party from Betsy St. Amant! I really enjoyed reading Betsy St. Amant's sweet novel, "All's Fair in Love and Cupcakes." This was such a sweet love story that had a bakery and a cooking competition at the center of the story along with a nice love story. Kat and Lucas are best friends and they each have dreams, but they both are struggling to find their own paths and where life is going to take them and if their paths will take them in separate directions or alongside each other. Betsy's style of writing makes it so easy to get into the story and into the characters' lives. Kat and Lucas are both main characters whom I loved spending time with and really came alive on the pages; I found myself rooting for them both throughout the book. This is such a fun storyline with great characters; I highly recommend it! 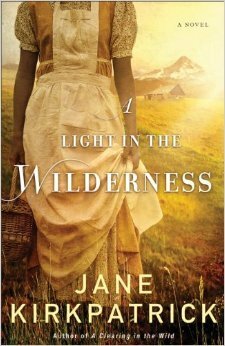 "A Light In The Wilderness," a historical novel by Jane Kirkpatick, takes the reader back on a journey out West with three women. This novel draws the reader into the lives of these women and into the setting that everything becomes so real. Letitia, Nancy and Betsy are all three very different women, from three very different backgrounds, yet they have similarities as each one is trying to live her life. Hardships and trials that are faced in this the American wilderness tie these women together and help forge friendships where they may not have naturally occurred. I believe Jane did an excellent job with this book as it is filled with historical details and the setting and time period came to life for me while I was reading. This is a treasure for historical fiction fans that will not want to missed out on! 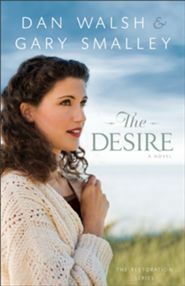 "The Desire," book 3 in The Restoration Series written by Dan Walsh & Gary Smalley, is a story that focuses on Michelle and Allen whom have been introduced in the previous two novels in the series. Michelle has longed to be a mother her own life and after marrying her best friend and love Allen she is ready to become one; however they have been unable to conceive a child. Michelle struggles with this and questions why some women are given babies that they do not even want while other mothers who so desperately want a baby are not given the chance to be a mother. While Michelle is obsessing with their infertility issue, Allen's mind is still back in Africa on the horrific area that he went to while there on a missions trip and also on a sweet little girl whom he met. As Michelle and Allen face these challenges and seek guidance from their family, they feel and hear the Lord's leading and even they are surprised themselves. I loved spending time with the Anderson family once again. I loved to be "updated" on Jim and Marilyn as well as Jean and Tom. Doug (whom is the focus of the next book) played a more dominant role as well as a friend to Christina and I loved the side of him that was seen in this book. I also loved that Audrey Windsor still is so close with this family as she was such a vital character in book 1. This is an excellent series that really addresses real-life issues that families face and they are a nice refreshing read knowing that we are not alone in our struggles. I highly recommend this book and the series, but encourage you to read the book in order as they build upon one another and continue on from where the previous book ended.